AXA UK and Ireland reported an improved underwriting profit int he first half of 2017, with its combined operating ratio improving to 97.7% from 98.2% in the same period last year. The improved AXA UK underwriting profit came alongside growth. First half revenues for its general insurance business rose 5% from a year earlier to £2.4bn, while underlying earnings in the first half were £114m. 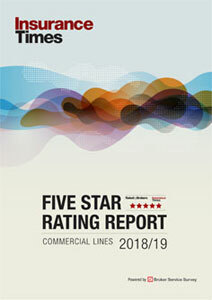 Commercial lines business grew 7.5% to £690m, the company said. “Strong performances in our core markets combined with improved underwriting profitability points to a business that is not only capable of managing market challenges but can thrive despite them,” said Amanda Blanc, chief executive of AXA UK and Ireland. The company had performed “particularly well” in commercial lines business, “driven by management of the discount rate impact, double digit growth in online SME and continued successful expansion into the Mid-Market space,” she said. 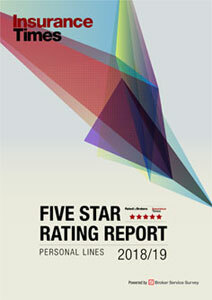 Personal lines business saw slower growth of 1.3% to £814m as the group focused on profitable business rather than volume in an incredibly competitive market. “AXA in the UK and Ireland is delivering for customers and distribution partners and I am confident that we are well placed to continue to deliver profitable and responsible growth,” Blanc said.